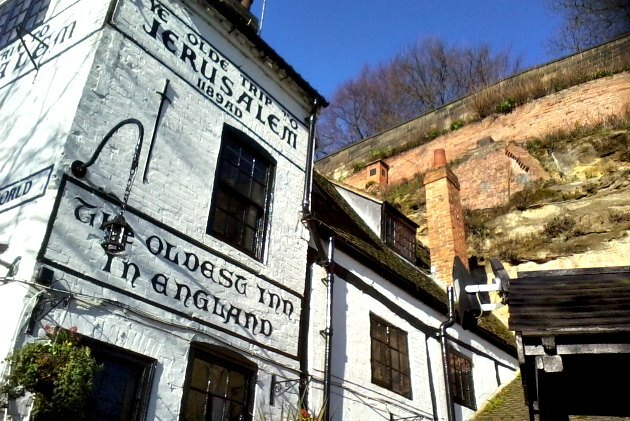 Ye Olde Trip To Jerusalem is Nottingham’s most famous pub and a must-see attraction for visitors to the city. Its actual age is the subject of much debate, but it is reputedly England’s oldest inn having the date of 1189 painted on the outside. Its striking black and white exterior makes it one of the most photographed buildings in the city centre. 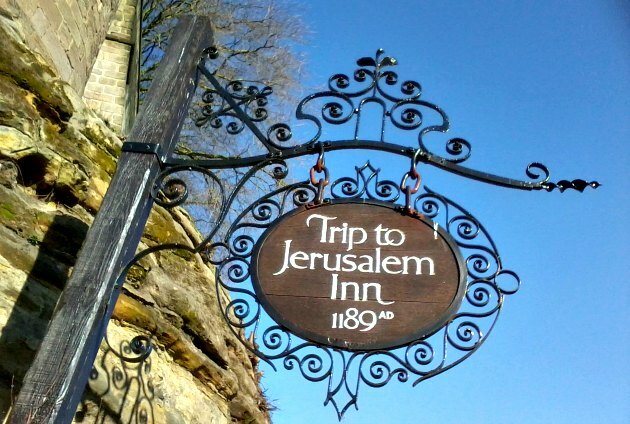 Ye Olde Trip To Jerusalem has a number of “rooms” inside. It’s size is deceiving because it is carved into the castle rock behind to add extra space. The unusual name is reputed to come from Richard the Lionheart’s crusade against the Saracens who occupied the Holy Land. 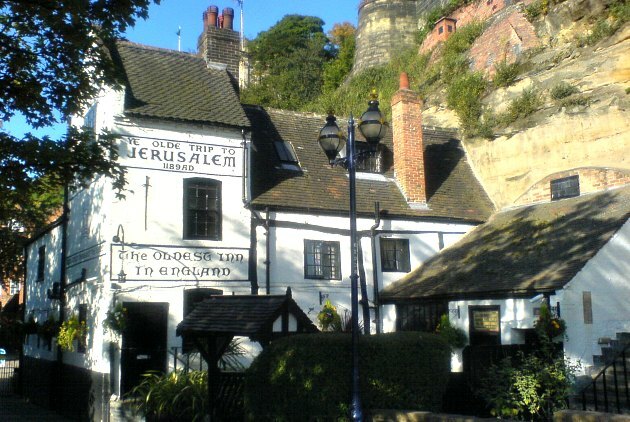 Crusaders are reputed to have stopped at the foot of the castle rock for drinks before journeying to Jerusalem. Having a drink at ‘The Trip’, as it’s affectionately known, is even more enjoyable in the summer months when you can enjoy some traditional English ale in the beer garden. 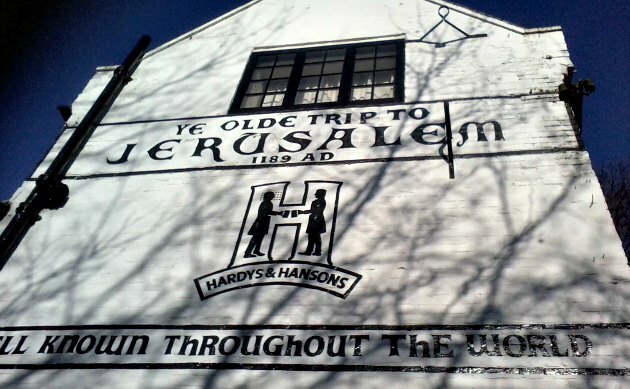 Ye Olde Trip to Jerusalem is next the the Museum of Nottingham Life in Brewhouse yard. You can see the pub from one of Nottingham’s major roads, Castle Boulevard.